skin conditions like psoriasis, dandruff and eczema. • Protects the scalp from sores and rashes. 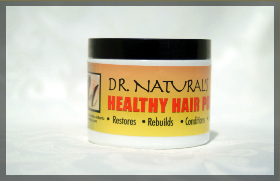 • Strengthens weak hair, and helps to prevent it from breaking, fading or thinning out. • Fortifies cooties and nails.